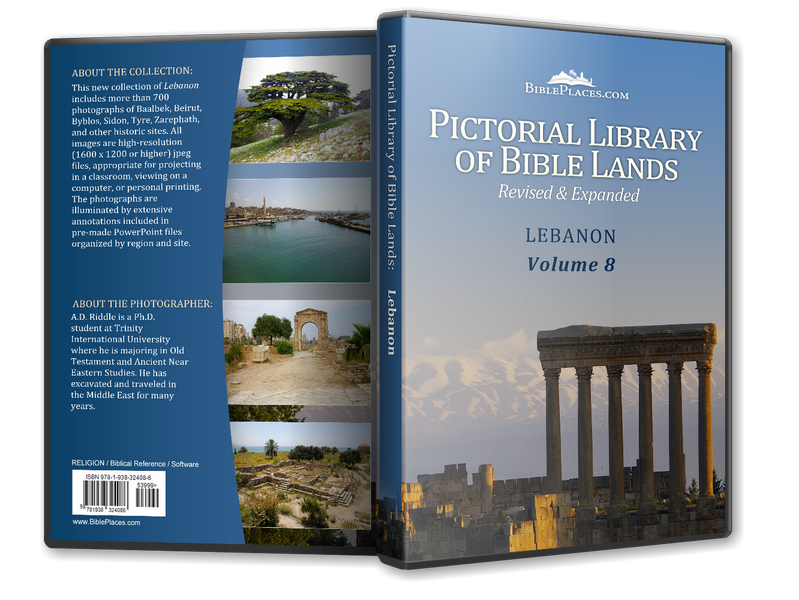 Zarephath is preserved in the name of the modern village, Sarafand. In antiquity, the site was known as Sarepta or Sariptu. 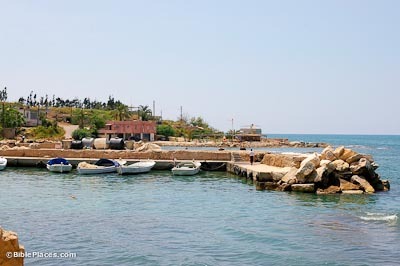 Zarephath is located about 8.5 miles (13.5 km) south of Sidon and 14 miles (23 km) north of Tyre. The ancient site occupied two promontories, each with a good harbor: Ras el-Qantara and Ras esh-Shiq. 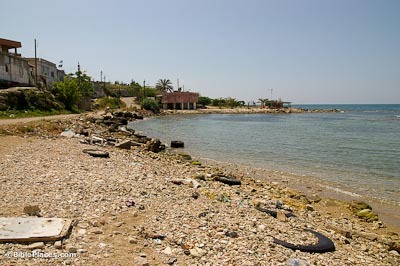 Ras esh-Shiq was the site of a Roman quay, and Ras el-Qantara was the site of the Phoenician Iron Age tell. During the severe famine in the reign of King Ahab, Elijah sought out lodging with a widow in Zarephath. Miraculously, the widow’s small supply of flour and oil was not consumed until the famine came to an end. And when her son died, Elijah brought him to life again (1 Kings 17:8-24). These miracles were recalled by Jesus as an example of a prophet who is unwelcome in his hometown (Luke 4:24-26). James Pritchard directed excavations at Zarephath on behalf of the University of Pennsylvania in 1969-1972 and 1974. The excavations revealed that Zarephath was occupied continuously throughout the Iron Age, and was a center for pottery production, olive oil production, metallurgy, and purple-dye manufacture. 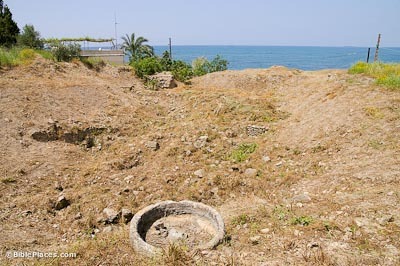 Twenty-two kilns were discovered, the earliest of which dated to the 13th century BC. The earliest occupation of Zarephath dates to the Late Bronze Age, ca. 1600 BC, and the city is mentioned in Papyrus Anastasi I from the reign of Rameses II. Zarephath (Sariptu) is listed among the Phoenician cities in Sennacherib’s campaign of 701 BC. During Esarhaddon’s reign (680-669 BC), Zarephath was taken from Sidon and given to the king of Tyre. 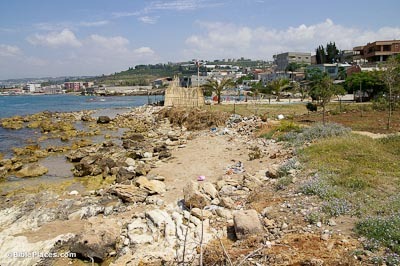 Visit the nearby cities of Tyre and Sidon, or travel up to the mountains to visit the remaining cedars of Lebanon.